[prMac.com] Peoria, Arizona - App Happy Games LLC today is proud to announce the worldwide release and immediate availability of Galaxy Glider 1.0, a uniquely addicting one-touch space game for iOS devices. Glide, fly & dodge your way through a never-ending galaxy in outer space filled with hundreds of rockets, orbs and stars. Help Galaxy Lord collect as many points as possible and challenge yourself to see if you can become the greatest Galaxy Glider the universe has ever seen! Imagine flying high through the intergalactic skies. You are speeding from side to side, gliding and jumping off a variety of rockets, all while collecting valuable orbs. It sounds pretty easy right? Well there's a catch... you can't fall off or get struck by the powerful rockets. Receive additional points for unlocking new secret skill moves. Galaxy Glider is a super addicting and simple game that is quick to play on the go or when you only have a few minutes. 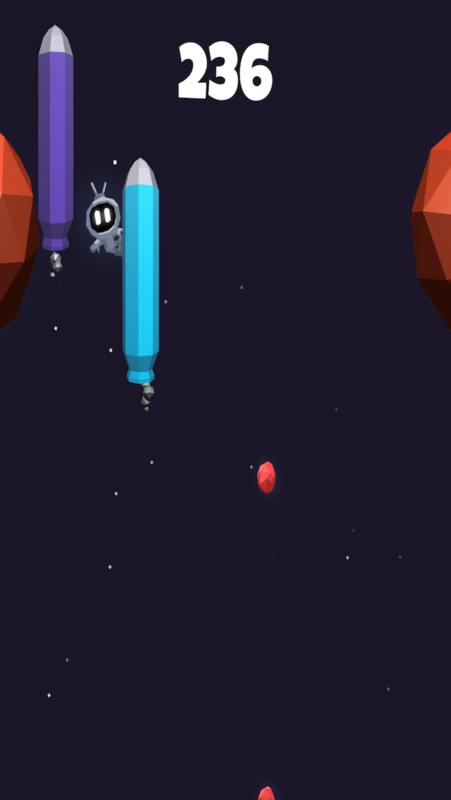 Galaxy Glider 1.0 is Free and available worldwide exclusively through the App Store in the Games category. For more information, please contact Edmon Shaoul. App Happy Games is a indie game developer that focuses on creating fun and addicting games for the iPhone, iPad and Android devices. All Material and Software (C) Copyright 2017 App Happy Games LLC. All Rights Reserved. Apple, the Apple logo, iPhone, iPod and iPad are registered trademarks of Apple Inc. in the U.S. and/or other countries. Other trademarks and registered trademarks may be the property of their respective owners.